Want to look fab and glam? Black outfits are highly remarkable for all casual and formal styling. 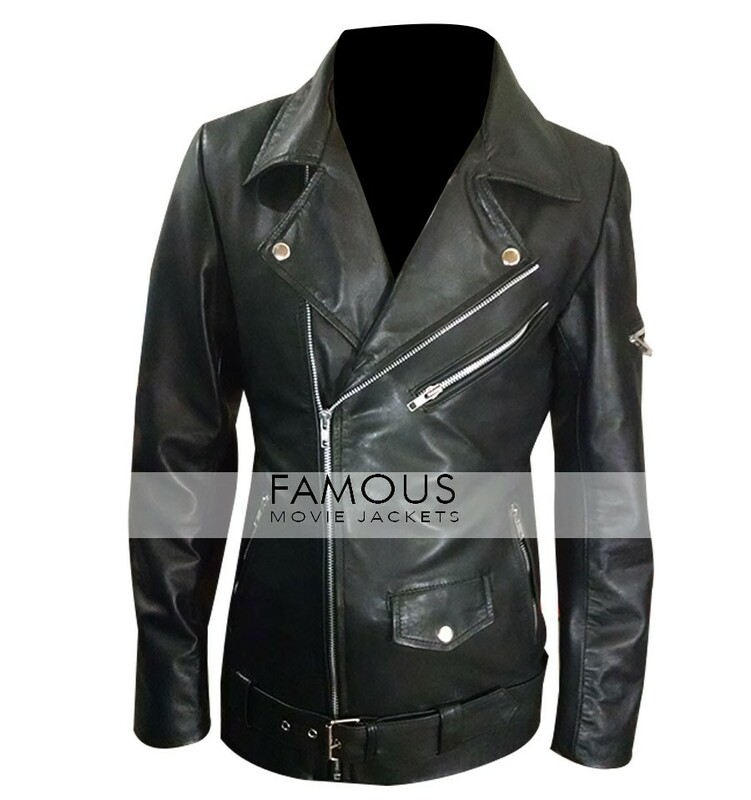 That’s why here we present for you a black leather jacket. We believe in delivering values to our customer by giving them best in quality and style. 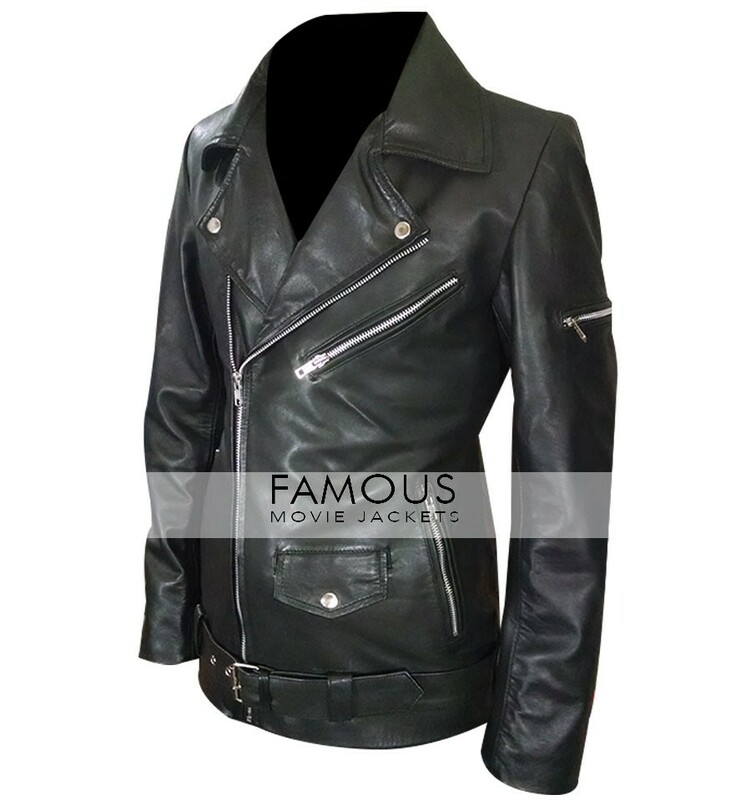 This black leather jacket is crafted of real leather while its inner material is made of viscose .The stylish outfit has lapel collar and front YKK branded zip closure. While three external zipper pockets are stylish enough to add grace to this outfit and at the same time. 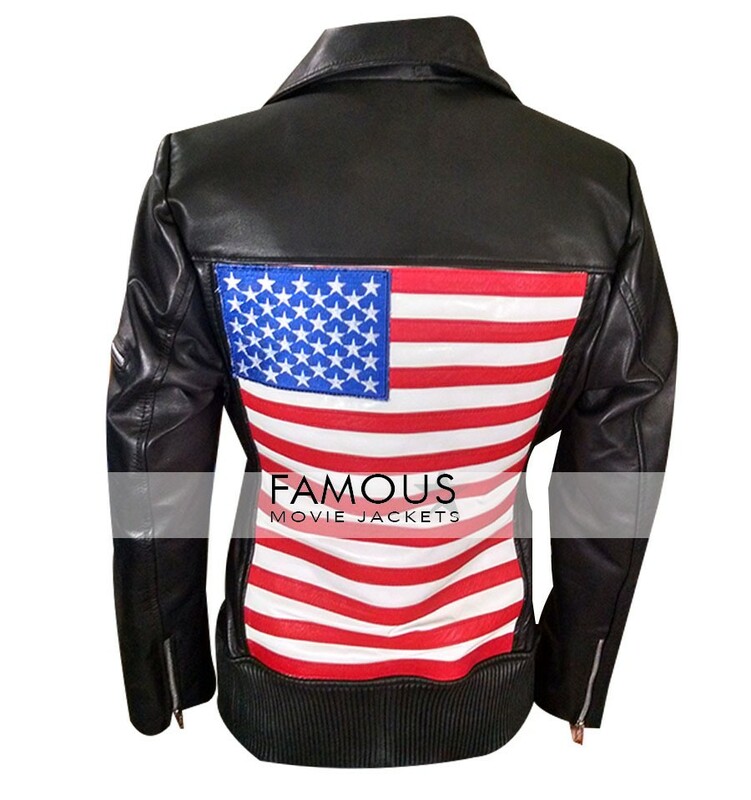 American Flag on the back adds jazziness to this jacket as well. This is the thing we say a must grab stylish wear. Grab your style and shine bright. Pockets: Three Pockets Externally and Two Internal Pockets.